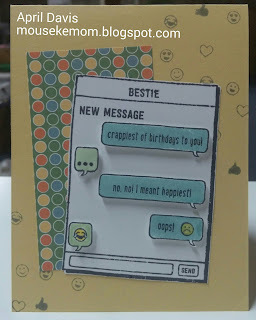 This card is for my BFF. While we live in different states, we text all the time, often bemoaning the horrors of autocorrect. I got the new SU set Text Ya Later and knew it was perfect for her birthday.